LAWSON Coaching is all about providing support in taking you from where you are to where you want to be, with a blueprint to get there! 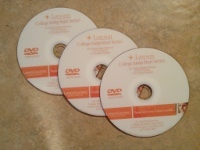 Purchase the JUMP START COLLEGE VIDEO SERIES for instant and ongoing support throughout college transitions or individual one-on-one personal coaching, 479-444-1400. Experience the LAWSON Coaching success difference! CALL DR. JENNIFER LAWSON: 479-444-1400. © 2019 Lawson Coaching lawson-coaching.com • Content Unreproducible Without Permission. All Rights Reserved.